The Casino Coupe hollowbody archtop features the famous Casino styling and shape—only proportioned smaller. The body and top are made from 5-layer laminated Maple with Basswood bracing. The body has single layer ivory binding on the top and back. Finishes include Natural, Vintage Sunburst, and new Turquoise. The full scale (24.75”) Mahogany neck has a SlimTaper™ D-Profile and is glued to the neck at the 18th fret. The “Pau Ferro" fingerboard has Pearloid "Parallelogram" inlays, q 12” radius, and a 1.68” nut. The traditional small-sloped dovewing headstock has beveled sides and a two-way adjustable truss rod. The Casino Coupe is powered by new Epiphone “Dogear” P-90 PRO™ single coil humbuckers. 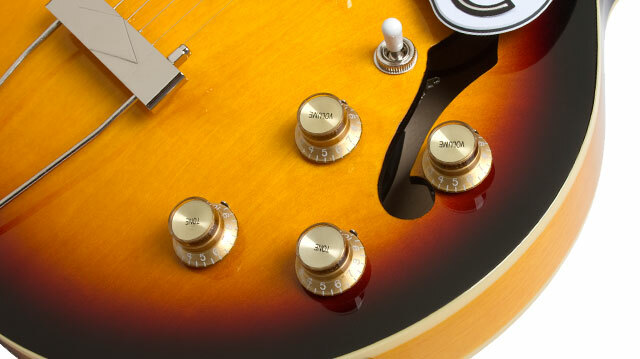 The P-90 PRO is an extremely versatile and sensitive pickup that when played lightly sounds full, clean, and sparkly. When driven harder, the P-90 PROs produce the distinctive Casino growl that can distort with a voice-like quality that guitarists can "play" and define at will. Because of this versatility, P-90s have found a home in rock, pop, jazz, and country, and over the decades have been a favorite of classic artists like The Beatles, Les Paul, and Keith Richards along with today's top concert draws like Gary Clark Jr., U2's The Edge, Thom Yorke of Radiohead, Paul Weller, and James Bay. The Casino Coupe comes with a fully adjustable LockTone™ Tune-o-matic bridge, traditional trapeze tailpiece, Epiphone vintage styled hardware, and is set up at the factory with legendary D'Addario® strings. A hard case is available from Authorized Epiphone Dealers. 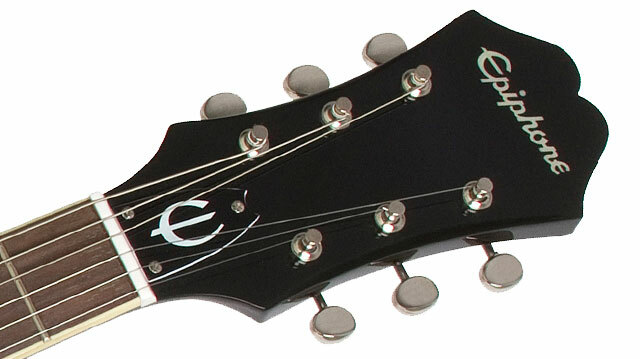 As with all Epiphones, every Casino Coupe comes with Epiphone’s Limited Lifetime Warranty and Gibson 365/24/7 Customer Service. Discover the Casino Coupe at your Authorized Epiphone Dealer today!